It has been said time and again that there is no magic pill that could completely treat addiction of any kind. Danish pharmaceutical company Lundbeck, however, begs to disagree, as it has purportedly developed a pill specifically designed to treat alcoholism. According to a report by Lizzie Parry for The Daily Mail, the drug nalmefene is being recommended by the United Kingdom’s National Institute of Health and Care Excellence (Nice) for use by heavy drinkers to help curb their addiction. In the face of rising incidences of drug use in the workplace, it has become imperative for employers and businesses to come up with a program that will keep their workplaces drug safe. If your business doesn’t have one in place yet, here’s how to start a drug testing program in the workplace. Many people die each year from overdosing on illegal drugs such as cocaine, heroin, or crystal meth, but they are not the drugs that kill the most people annually. That dubious distinction belongs to prescription drugs, which, ironically, can be legally bought at any drugstore as long you have a legitimate prescription from a doctor. To give you an idea how big the prescription drug problem is, it is now classified by experts as an epidemic, and this epidemic is prevalent even in the workplace. Drug use may be at the heart of the abuse sheep as they go through the hands of some workers in the shearing industry, says Lucy Barbour in a report for ABC.net.au. This concern about drugs in the shearing industry arose after animal rights group People for The Ethical Treatment of Animals (PETA) released video footage, purportedly taken at 19 different shearing sheds in Victoria, New South Wales, and South Australia, of shearers subjecting sheep being sheared to abuse by punching, kicking, and throwing them. 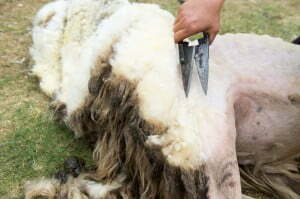 The shearers in the videos are believed to have been under the influence of drugs. Nevertheless, while admitting that there is indeed a drug problem In the shearing Industry, the Shearing Contractors Association of Australia (SCAA) denies that it’s widespread. So you have this employee who has been a rising star ever since being accepted into your company, but you can’t help but notice certain changes about him lately. You look at his work, and you can see that its quality has taken a dip. You also notice that he appears to be looking more disheveled with each passing day, as if he has thrown the idea of personal hygiene and good grooming out the window. He also almost always dozes off during meetings. As the employer or manager of this employee, it is only proper that you feel concerned about these signs, which you suspect are that of substance abuse. A man who aimed to become the first ever resident of Washington state in the United States to buy legal marijuana instead found himself getting fired from his job after his employer saw him achieve the feat on television. According to an article written by Taylor Wofford for Newsweek, Mike Boyer, who worked for a staffing agency called TrueBlue, camped out all night outside Spokane Green Leaf, which was about to sell legal marijuana as part of the historic event. While his efforts proved fruitful, TV cameras caught him buying the drug, which was seen by his bosses at the company, who promptly decided to terminate his employment. Fortunately for Boyer, his employer changed their mind, as their policy about drug use only covered being under the influence at work, which Boyer was clearly not as he officially had the day off. The problem of drunk driving is increasingly becoming worse, as the streets of Australia continue to be traversed by alcohol-impaired drivers. In NSW alone, about 20 per cent of fatal accidents include drunk driving as a factor. Such tragedies could have been avoided if the drivers involved actually had to undergo a breath test before getting behind the wheel. A new study has discovered that the pattern of activity in the brain during dreams and during a drug trip involving magic mushrooms are similar. According to a report by Business Insider Australia, the study, which was published in the journal Human Brain Mapping, reached this conclusion after analysing data from the brain scans of volunteers who consented to be injected with psilocybin, the active ingredient in magic mushrooms responsible for their psychedelic effects. The researchers observed more pronounced activity after injecting psilocybin in the more primitive brain network linked to emotional thinking. What makes a psilocybin trip similar to dreaming, however, is when they noticed activity at the same time in the hippocampus and anterior cingulate cortex, a pattern usually associated with dreaming. This clearly shows how dangerous such drugs are at the workplace, and Drug-Safe induction programs will tell you the same thing. Imagine a co-worker who uses magic mushrooms—and is therefore in a dreamlike state—drive a vehicle or operate machinery at work. That co-worker poses a danger not only to himself, but to other co-workers as well, and that is one of the primary reasons nobody wants a co-worker who is in a dreamlike state.